Product prices and availability are accurate as of 2019-04-06 10:03:49 UTC and are subject to change. Any price and availability information displayed on http://www.amazon.com/ at the time of purchase will apply to the purchase of this product. Craft Smith cardstock paper"-Sunny Dreams"-12in x 12in Paper Pad. Includes:48 sheets. 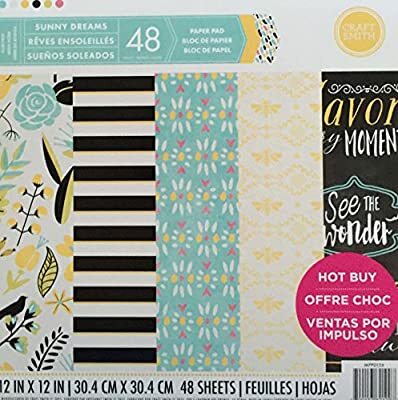 Craft Smith 12x12 Paper Pad-Sunny Dreams. Sizes of paper pad is 12inx12in. Comes with 48 sheets.